Smart Energy Today, Inc.™ offers high-quality products for your home or business that can help lower the amount of energy you consume. If you are looking to improve the efficiency of your home or business and become more energy independent, Smart Energy Today, Inc.™ can help. Are you a home owner, and looking for ways to cut costs and make your home more comfortable? Having energy efficient appliances and electronics, energy saving lighting, and good ventilation and insulation in your attic and crawl spaces can help lower your energy bills. Smart Energy Today, Inc.™ offers products that are durable and will help save you money and make your home or business more comfortable. Call or email us today. Solx Corp is a Solar Installation Company, Electrical Company, Roofing Company, and General Construction Contractor. We hold both an Electrical Contracting License and a General Contractor License. Our insurance covers us for all these categories of work including roofing. We are a small, family owned and operated solar company specializing in the creative design and installation of Solar PV Panels. We are proud to be the only registered Veteran Owned company in Washington. At NW Wind & Solar, our goal is to help you reduce your dependence on nonrenewable energy sources and start achieving sustainability in your business or home. Our business is helping you make choices that are good for the environment and right for your home or business. NW Wind & Solar offers: *A staff of renewable energy experts to guide you through the process of implementing effective, user-friendly solar power or wind energy systems *A professional in-house engineering staff to design your renewable energy systems to meet your specific needs *Skilled, experienced, certified, and licensed installation experts *A full ten-year warranty on our work — one of the best in the industry. At NW Wind & Solar, we believe in renewable energy. We have several LEED accredited professionals on staff. We integrate recycling, renewable energy, and employee commuting benefits into our work. We have installed both a solar energy system and a wind power generator at our main office. Our belief in the importance of sustainable business practices extends to our own operations. 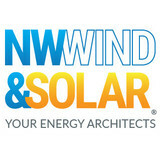 NW Wind & Solar is a division of SME, Inc. of Seattle, a leading electrical contractor with over four decades of expertise and vast experience with home, commercial and industrial electrical systems, including primary electric service, wiring, and electrical generator systems for Homes and Industry (License # SMEINS*066DB). 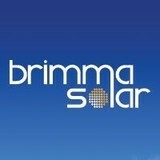 Brimma is your local solar expert, delivering quick and simple setup with dedicated support at every stage of your project. From initial evaluation to final installation, we strive to find the best solar solution for your lifestyle, your budget, and your long-term goals. Our professional team is committed to helping our customers achieve their clean energy potential, offering custom-built designs, exceptional customer service, and quality workmanship made to last. Renewable Energy System Development. Solar panel mounting systems. Founded in 2001, by Pam Burton and Jeremy Smithson, Puget Sound Solar is the most experienced solar installation company in Washington. Headquartered in Seattle, Washington with more than 30 employees and over 1500 unique residential and commercial solar photovoltaic and 600 electric vehicle charging station installations, Puget Sound Solar is recognized as the solar industry leader in the Pacific Northwest. Our company is proud of our history of engaging in environmental policy work to benefit future generations and for providing training to other solar installers in the region. We’re a socially responsible company and engaged in our community. Are you interested in powering your Olympia home with solar energy? Whether you want to lower your electricity bill or help the environment (or both! ), hiring a Washington certified solar energy contractor is a smart first step to getting off the grid and getting into energy conservation. Solar energy professionals in Olympia, WA can evaluate your needs and design, install and maintain the best renewable energy system for your home. Let’s say you want a solar electric system for your home. An off-grid system basically consists of solar panels and battery banks. These battery banks store the sun’s energy so you can use electricity at night or on a cloudy day. This system is designed to keep household electricity running for about two or three cloudy days; longer cloudy periods require a backup generator. To install an off-grid system, you’ll want to hire a certified Washington solar energy contractor. Along with off-grid solar, wind and hybrid energy systems that include batteries and backup generators, there are also grid-tied solar and wind operations. Grid-tied systems are attached to your Olympia, WA utility company so if you produce more energy than you use, your meter goes down and you build up energy credits. Can you give me any information on Washington solar rebate programs? 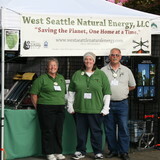 Find solar energy contractors in Olympia, WA on Houzz. Search the Professionals section for Olympia, WA solar energy contractors or browse Olympia, WA photos of completed installations and look for the solar energy contractor’s contact information.